I am 14 year old. Yes, I have been playing retail for 5 years, almost 6 years. No, I haven't been banned before. I spend like 5 - 9 hours each days. Here is a picture so you can see. My name is Daniel I live in denmark on a little island called funen. and a father who is 47 year old. I like to play wow and chill with friends. 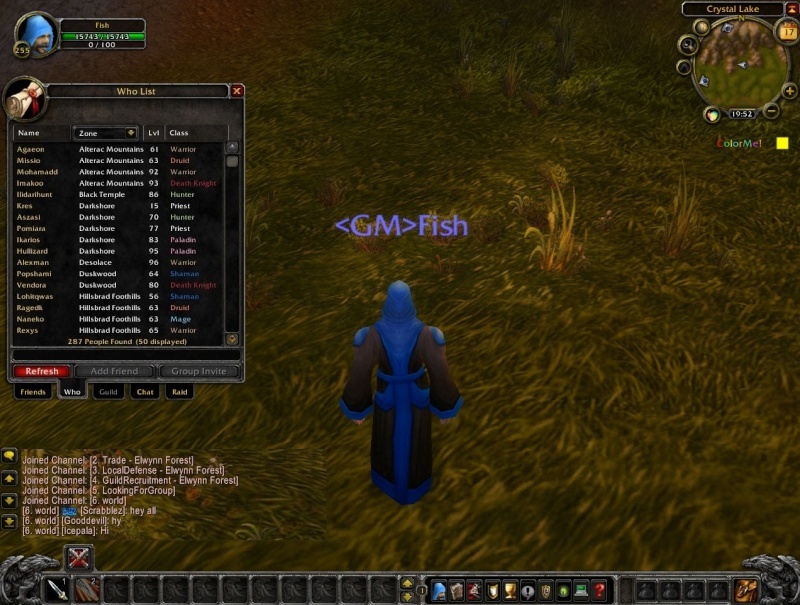 I have been an experienced GM on one of the biggest 255 funservers ever! I know all gm commands for "ArcEmu, Aspire, Ascent, MaNGoS, Trinity, Hybrid"
I read and help always players before the staff stuff I have to do. To help the players ingame, because it's a good deed. I could if you want help you create malls and test out the bugs for the server. I could also lookout for the forums sort of like a forum moderator to make sure people aren't just flaming others, or just trolling on topic and/or getting off topic. No, it's not a problem for me. When banning hackers those who have proof of a hacker can post a Screenshot on the forums, and the hacker should be perm banned, so that we make a hacker free community. Hackers knowing that they can get perm banned will know that we do not tolerate hackers of any kind. First of all I would have only a set amount of groups for the event, then I would tell them the rules, and if they are against it I would start give them a warning and next is a kick from the event, so they getting back to their Hearthplace. because GM are ingame for helping the players that makes tickets. Thanks for reading my application, hope you liked it. I did not See you online at all. That's right.. But the registration site have been offline for a while? I couldn't make a account I am sorry.